It is truly a match made in dessert-heaven. It’s our go-to dessert for family game nights or any instant celebrations in the house. First, the silicone molds don’t get hot to the touch after baking, so handling is super easy, my kids bake with these often. Second, taking the lava cakes out of these molds is a breeze. Simply, invert them on to your serving dish, and they slip out nice and easy. and they turn out really moist and delicious. But this cake can be made in the oven as well. I find the texture of the lava cakes to be more moist and gooey, when I pressure cook them. The pressure cooking environment prevents the outer crust of the cake from drying out. As a result, when you cut through the cake, the lava slides out super smoothly and becomes one with the cake. These cook times are based on what works for my family. If you like a more cooked center, you can add another minute or two to get that consistency. If using ramekins for cooking the lava cakes, grease the inside with butter. Then, sprinkle about 1 teaspoon sugar, or, flour, and rotate and turn the ramekin till all sides get coated evenly. Discard the remaining sugar or flour. 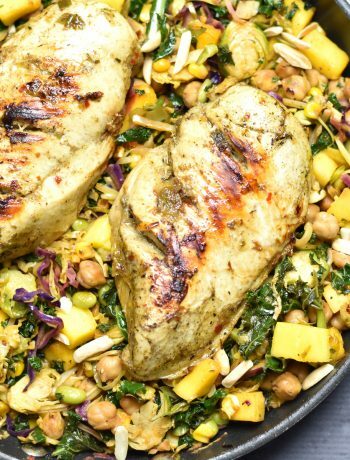 If you don’t have a pressure cooker, not to worry! You can bake these in the good old oven. Place the cakes on a cookie sheet and bake for 11-13 minutes, depending on how gooey you want the center to be. When it comes to flavor variations in Lava Cakes, the sky is the limit! If salted caramel is not your thing, try these Chocolate Lava Cakes, which do not have any filling in them. and enjoy Peanut Butter Molten Lava Cake instead! However, the peanut butter cups don’t melt all the way through. Check out all the other desserts on my blog. 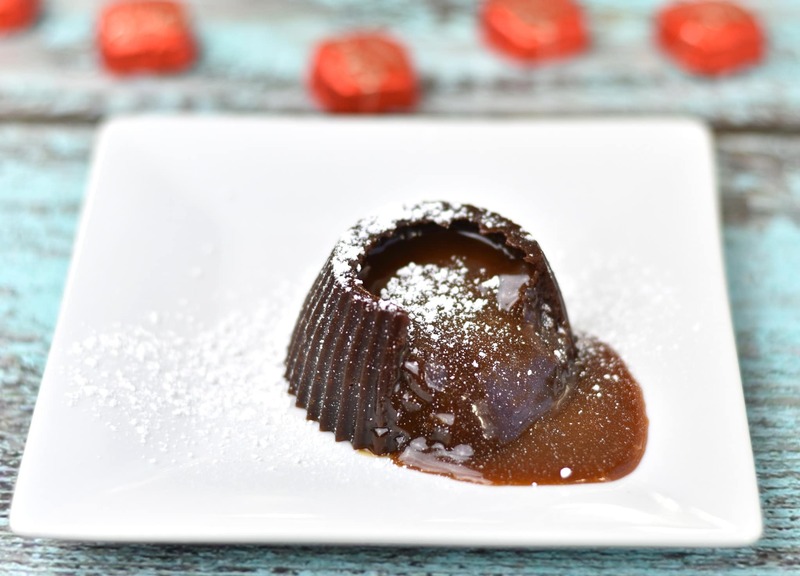 Salted Caramel Molten Lava Cakes are the ultimate indulgence in my home. Rich dark chocolate, blended with salted caramel, topped with salted caramel ice-cream, it is a match made in dessert-heaven. 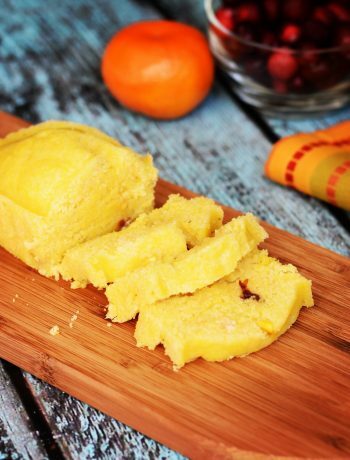 This recipe uses pressure cooking in an instant pot to make this wonderful dessert in less than 30 minutes. 1/2 stick unsalted butter softened: 4 tbsp. or 2 oz. Melt butter and chocolate chips in the microwave, about 30 seconds to a minute. Using a whisk, mix well. Sift in confectioners sugar and mix again. Add eggs, vanilla, salt and mix well. Sift in flour and whisk till everything is incorporated. Grease silicone cupcake molds or 4 oz. ramekins (using Pam cooking oil spray). 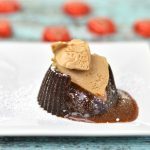 There are two options of making these Salted Caramel Lava cakes. Option 1: Pour batter in molds, filling them half way. Pour 1 teaspoon or more of salted caramel sauce in the center. Pour batter on top, leaving 1/4 inch from the top. In this option, the caramel sauce will ooze out 'with' the chocolate lava, from within the cake. Option 2: Start by pouring caramel sauce at the bottom of the mold. Pour batter on top, leaving 1/4 inch from the top. 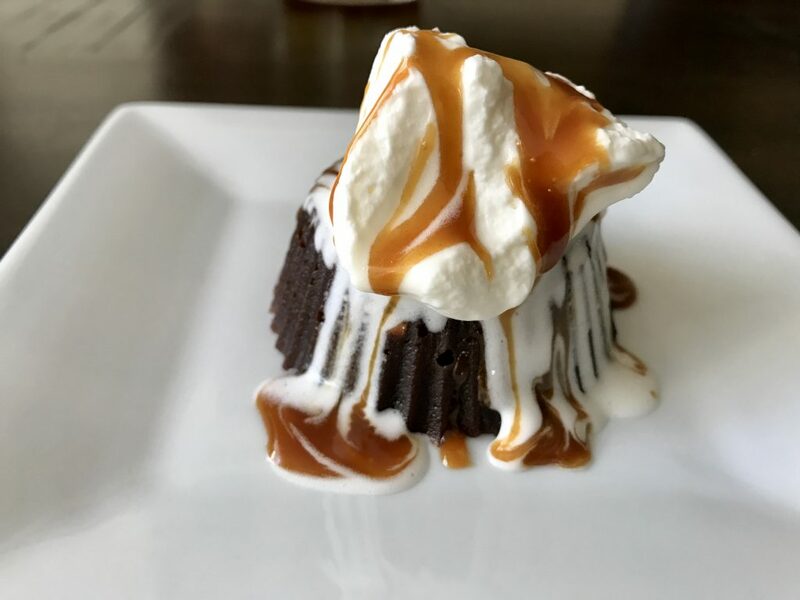 In this option, the salted caramel sauce will melt all over your lava cake when you invert it. So choose based on your preference, either way, you'll end up with a wicked good lava cake. Put 1 cup water and place trivet in the Inner pot of the Instant Pot. Place cakes on trivet. Close lid. Set vent to SEALING. Cook on MANUAL (hi-pressure) for 7 minutes. If you like a less gooey center, increase time to 8-9 minutes. QR (quick release) the pressure and remove the cakes. Cool for 1 minute and invert the cakes into the serving plate and dust with confectioners sugar (optional). Serve with a scoop of Salted Caramel or Toffee flavor ice-cream. Enjoy! 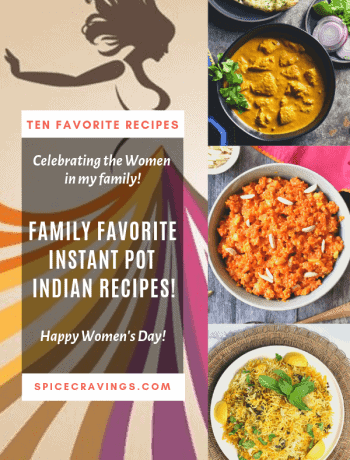 If you don’t have a pressure cooker, not to worry! You can bake these in the good old oven. Pre-heat oven to 425°F. Follow steps 1 and 2. Place the cakes on a cookie sheet and bake for 11-13 minutes, depending on how gooey you want the center to be. Serve with a scoop of Salted Caramel or Toffee flavor ice-cream. Enjoy!